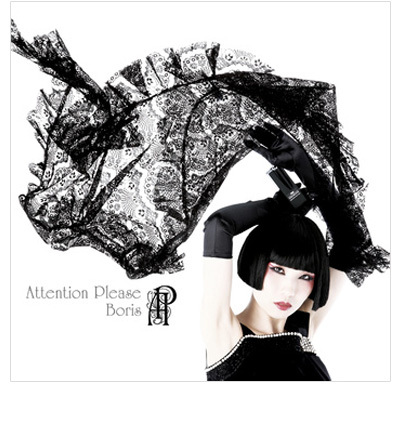 Though hard-edged rock is what Boris is known for, their latest LP, Attention Please, is anything but abrasive. After making their name with sixteen albums of party anthems and head bangers, the Japanese trio have filed their edges and sought out a gentler aesthetic. They’ve promoted their willowy guitarist, Wata, to the position of lead singer, and they’ve used her ethereal vocals to form the backdrop to meditative fuzz. They’ve softened their guitars so they ring like choral voices, giving fare like “Aileron” and “Hope” the resonance of Pink Floyd melodies. Throughout the album, the quietest moments thrum with hints of menace, as though the band, after years of aggression, have stumbled upon melancholy and fear. But their roots are still intact – on throwbacks like “Tokyo Wonderland,” they rush like impatient teenagers. It’s tempting at times to fault the album for its lack of unity, but its chaos suggests that’s the point. Nothing says you’re versatile like showcasing two warring sounds.